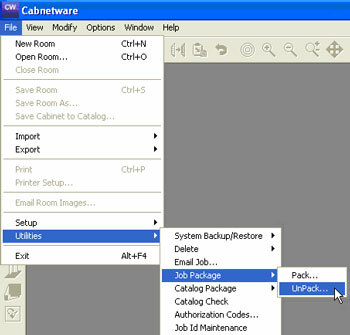 1) Select Utilities > Job Package > Pack… from the File menu. 2) On the Pack Jobs screen note you can pick the jobs path from which to select jobs. 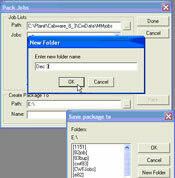 The program defaults to the Jobs Path as set in Preferences – Paths. 3) Select the job or jobs to pack. 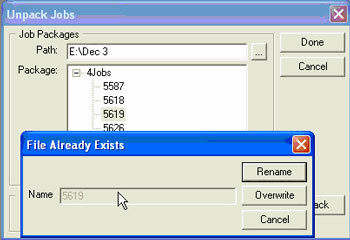 To select multiple jobs, select one job then hold the Ctrl key down and select others. 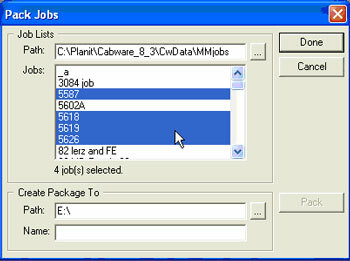 To select a contiguous range of jobs, select one and hold the Shift key down and select the last job in the range. 4) Once the jobs are highlighted, select the small button (ellipsis) to the right of Path in the Create Package To area. This allows you to select any drive you have available on your system. 6) Finally, type in a name for the job package and click on Pack button that now is highlighted. Click OK and you’re done. 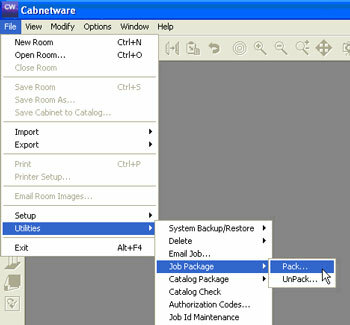 7) To Unpack the job package, select Utilities > Job Package > Unpack… from the File menu. 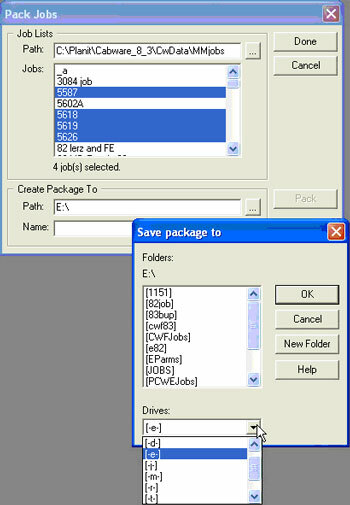 8) Select the drive and folder that contains the Job Package. 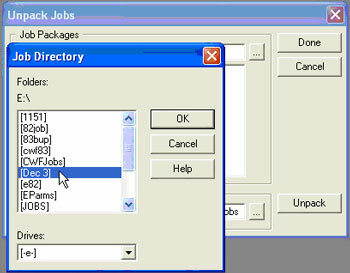 Click OK.
9) Select the name of the Job Package or a single job within the package by clicking on the + sign next to the job package name. 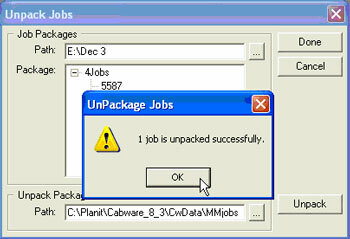 Confirm the Path to Unpack Package To and click on Unpack. 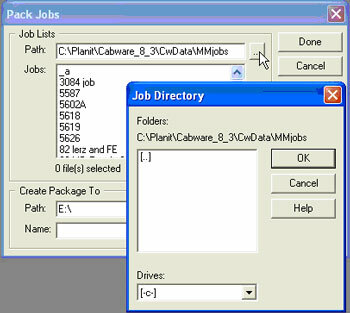 If the file already exists in the selected jobs path, you’ll see a message and have a chance to Overwrite the existing job or Rename the packed job. After making your choice, the job will be unpacked. Click OK to continue.